Tune-Yards frontwoman Merrill Garbus has long been inspired by black culture. During college, she studied abroad in Kenya, where she was fascinated by the Congolese pop music that flooded the airwaves. She later spent time in Haiti to see Easter holiday ceremonies after learning the country’s drumming technique from a native in the U.S. Her use of those influences, as well as a knack for creating frenzied, infectious melodies and a powerful, rangy voice, has helped propel Tune-Yards to indie rock acclaim. The band’s second album, Whokill, won the highly respected Village Voice critics’ poll for the 2011 album of the year over artists such as Adele, Bon Iver, Drake and Jay-Z & Kanye West. Garbus, a white woman from Connecticut, is painfully aware she owes some of her success to the black musicians who came before her. This isn’t unique, of course -- virtually every genre of American music can be traced back to people of color. But she is different compared to most of her white peers because she’s decided to publicly address the bubbling voices inside her head asking her to more forcefully confront her whiteness. The result of that decision is Tune-Yards’ new album released in January, I can feel you creep into my private life. It’s an ambitious effort about “white privilege, white supremacy, internalized racism and growing up in racism,” according to Garbus, who spoke to AOL ahead of her performance at Lightning in a Bottle festival in Bradley, Calif. on May 25. Garbus has touched on “whiteness” before in past individual tracks such as “Jamaican,” which wondered aloud about her rights as a white woman to take on reggae dancehall. That song appeared on Tune-Yards’ 2009 debut album BiRd-BrAiNs, which Garbus says was almost titled White Guilt. 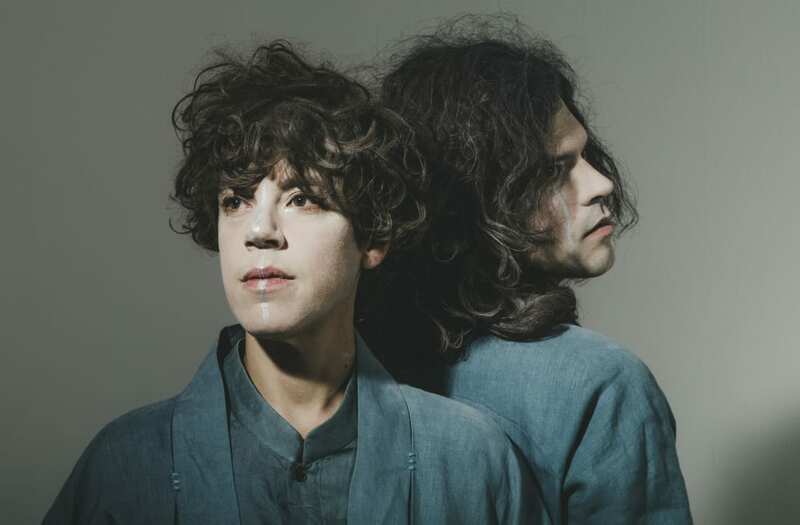 Some people -- including comedian and musician Reggie Watts – have evaluated whether Tune-Yards appropriated from black culture. But there was certainly no widespread movement to condemn Tune-Yards, as people like Watts concluded that “music is for everybody.” The topic of the band’s possible appropriation didn’t truly become a hot topic until Garbus herself elected to make race the overbearing topic of creep into my private life, giving many interviews and even writing a letter to journalists about the album’s production and themes. As might be expected due to the heavy subject matter, some of the songs aren’t exactly casual listens. But others, such as "Heart Attack" and "Look At Your Hands," manage to be fun by smoothing over self-reflective lyrics with synth-driven melodies that can fill up the dance floor. Though Garbus thinks it’s “essential” for people to feel unsettled about the status quo, she isn’t heartened by the cycle of accusations and defensiveness that can perpetuate when claims of appropriation pop up. People must let their guard down to have an honest conversation about thorny topics, and she’s hopeful that creep into my private life can provide an opening to those progressive discussions. Lightning in a Bottle festival is from May 24-27 in Bradley, California, and will feature acts such as Tune-Yards, Anderson .Paak & The Free Nationals, ZHU, GRiZ and more.